Our natural wood products are created as works of art, yet, we engineer them to be functional & ergonomic for all. 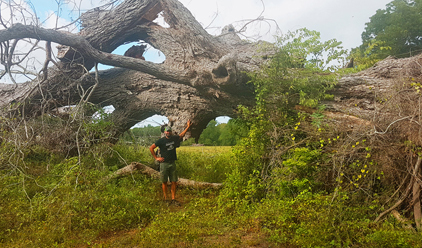 Every piece we produce for our clients is truly one of a kind, is crafted to embrace the beauty of nature of a salvaged tree and is built to last generations. 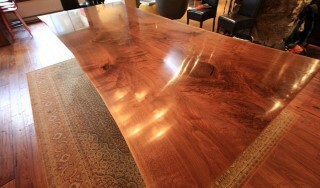 Every custom wood furniture piece that we produce is timeless & an extremely valuable collection piece to be enjoyed by future generations. 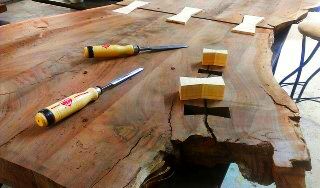 It all starts with the history of a tree to create our sustainable furniture. 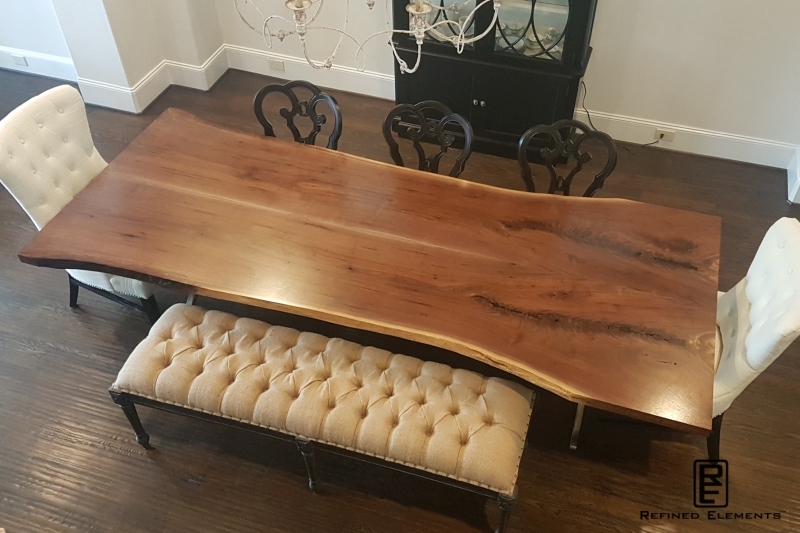 You can be rest assured that our reclaimed furniture & live edge furniture will become the statement piece of your home or business. Saving Trees, Improving Lives! We build USA handmade furniture in Dripping Springs, TX. We ship our reclaimed wood furniture across north America with a local community focus to serve the Austin furniture, Houston furniture, Dallas furniture & San Antonio furniture needs. 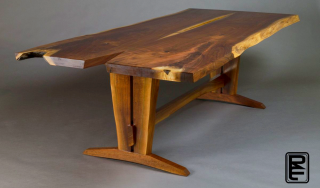 Our hardwood dining tables and live edge furniture is crafted using classic wood joinery w/ a balance of contemporary design & modern materials. Our design philosophy is greatly inspired by a dedication of transforming a tree, typically seen as waste, into magical works of natural art. This picture shows the largest documented salvaged pecan in the history of Texas. 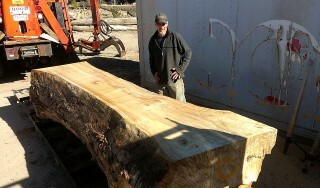 From this 300+ year old Texas pecan, we will give birth to historical pieces of Texas furniture. This is what we love to do & why our natural wood furniture is one-of-a-kind. We look beyond traditional tree harvesting & focus exclusively on saving dead & diseased trees. We never harvest healthy trees unless they must be removed due to new construction. We are involved in all aspects including tree removal, re-planting efforts, log selection, sawmilling, & kiln drying. We supply our wood slabs & Texas lumber to many other Texas furniture makers in Austin, Dallas, Houston, San Antonio & beyond. 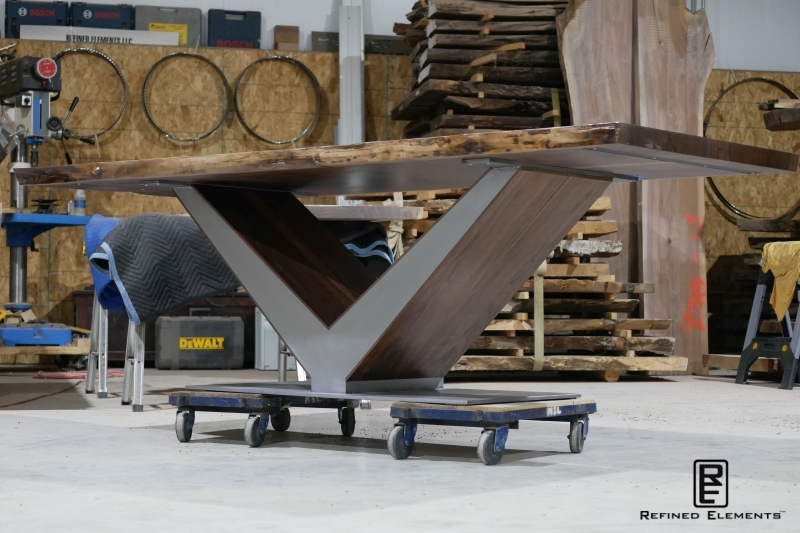 When combined with bronze, brass, stainless & other solid materials, our custom furniture can achieve a modern & very formal appeal. 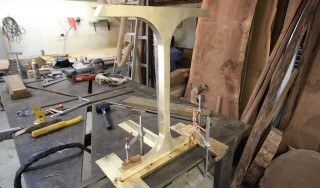 Unlike most, we do all our metal fabrication in-house & work across a large platform of materials. We also offer USA forged cast iron bases with nickel, copper & bronze plating options. Our goal is to exceed expectations & our finishes are no different. Our favorite finish is a 100% natural, non-VOC finish that offers great surface protection while maintaining the natural feel & appearance of wood. We also offer the most durable, commercial grade finish which is low-VOC, HAPS and formaldehyde free. People & community comes first! We know that true happiness in life ultimately comes down to being good stewards of the environment & community. 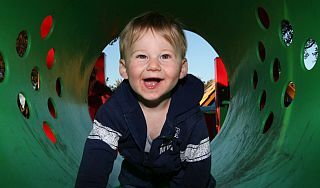 We are dedicated to providing services & creating products that bring meaning & happiness to you. Your business also helps support our regular lumber donations to the Austin Habitat for Humanity. 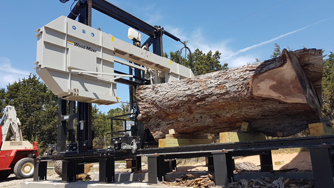 We operate the TX Urban Sawmill which is focused on salvaging dead, diseased and construction site trees that typically end up in lands fills, burn piles or turned into firewood. 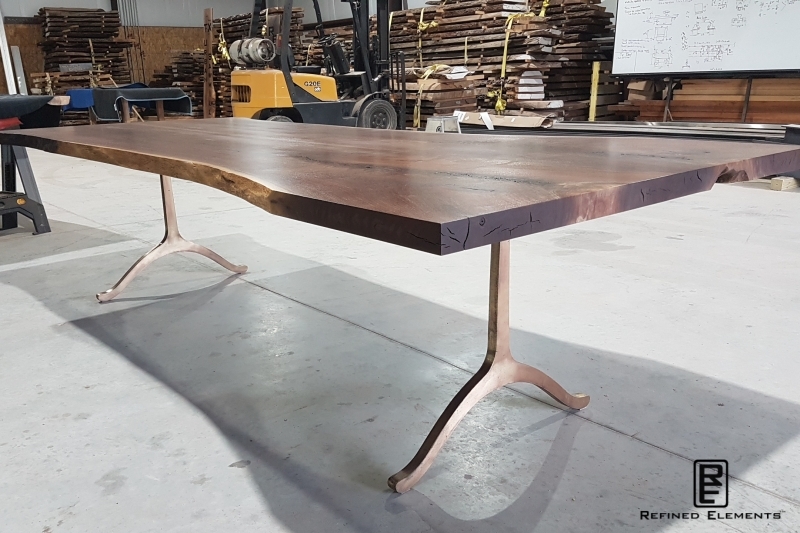 We are the only business in Texas that provides turn-key tree re-use projects from tree salvaging to re-purposing into furniture & interior decor for residential and commercial applications. Our products start from our inventory of hardwood slabs which we produce from dead, diseased or hazard prone trees. We salvage more trees than anyone in Texas which shows our commitment to our mission to tree re-use advocacy. We nurture these forgotten trees and transform them into works of art to be used & enjoyed for generations. In order to succeed in building and maintaining a nationally recognized brand, we treat each customer as our first customer. Our unwavering attention to our customers, designs and products parallels our commitment to uncompromising service & quality of work. Although we have yet to reach it, we constantly strive for perfection. Our business is focused on family values. We focus on personal accountability, integrity and customer centricity. We develop and produce every product with the attitude that it will become a high value museum piece & something we would be proud to display in our home. Everything we design for our clients is handcrafted in America and receives our utmost attention, regardless of the price point. No detail is too small and your voice is extremely important to us. Success in life is about positive relationships & family, we consider every client to be part of the Refined Elements family. Keep in touch with Refined Elements through your favorite Social Media sources! We would love to hear from you! !